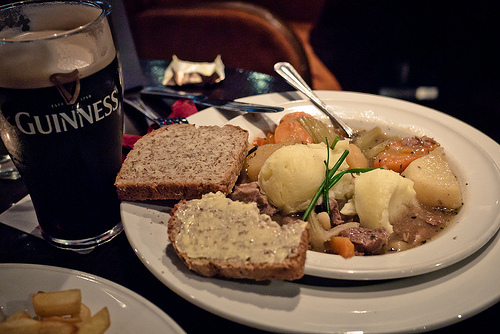 I would like to try some Irish food and drink…traditional, or popular with locals. What would you suggest? These days restaurants and fast food outlets are quite popular, but when I was growing up, you rarely went out to eat, and if you did, it was down to the local chipper for some fish and chips. Most people cooked every meal at home and, at least in our house anyway, it was very traditional e.g. stews, soups, oatmeal/porridge in the morning, that kind of thing. For people of a certain generation, I guess those who grew up before the years of the Celtic Tiger, it remains largely like that. Eating out is still considered a luxury. But when they do, there are plenty of options. Coffee shops, I would say, are a relatively new phenomenon. I’m sure there were some around 10-15 years ago, but not like it is now. Starbucks, Costa Coffee, and other similar businesses, have taken hold of a portion of the breakfast market, but if you’re looking for smaller, traditional, local-type places, they exist too, and in numbers. Just ask someone on the street in whatever town you’re in. If you’re looking for an “Irish breakfast” you’ll most likely have to stay clear of small coffee shops. Most hotels serve a hot, full Irish breakfast daily, and of course, B&B’s might even be a better choice, in terms of taste and food quality. I guess the advantage with a hotel though, is you don’t have to be staying in the hotel itself to avail of it’s restaurant. 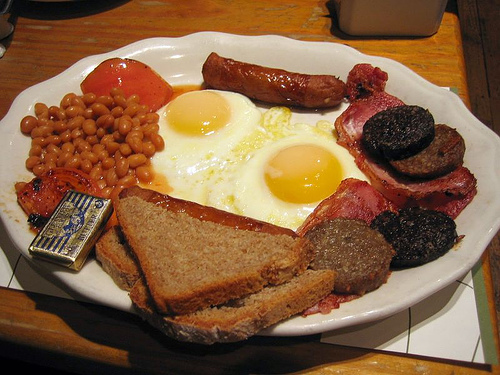 There are other options too to get a full Irish breakfast at (see my recommendation below). I’m not exactly sure what would be considered a “traditional” Irish lunch, but I can tell you what is very popular with the locals these days: Pub Grub. 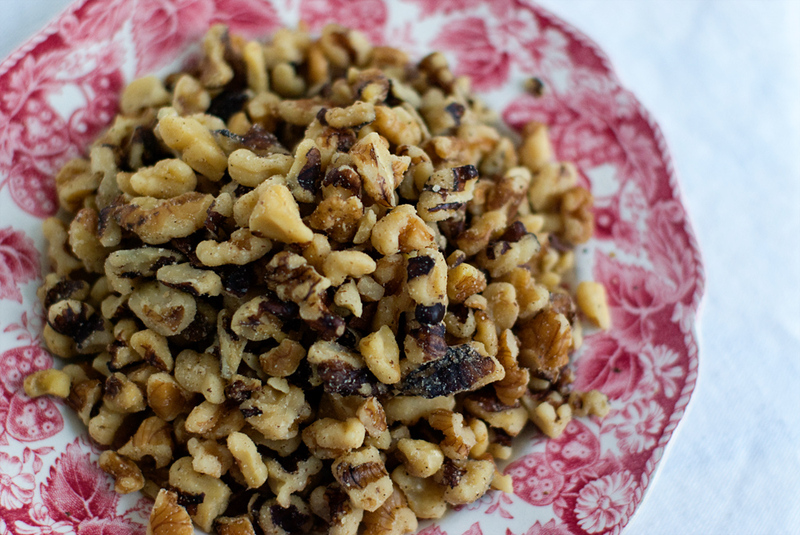 Basically it’s reasonably priced, nourishing food, which could consist of a variety of things. Fish & chips will of course be on many menus, soups are a mainstay, sandwiches (you’ll hear sangwiches 🙂 ) will definitely be on there, and you’ll find a whole selection and variety of other items. If pub food isn’t your thing, you’ll find plenty of decent restaurants, sandwich shops, ethnic food places etc in most towns. Again, your best option is ask around. People are usually very happy to help. 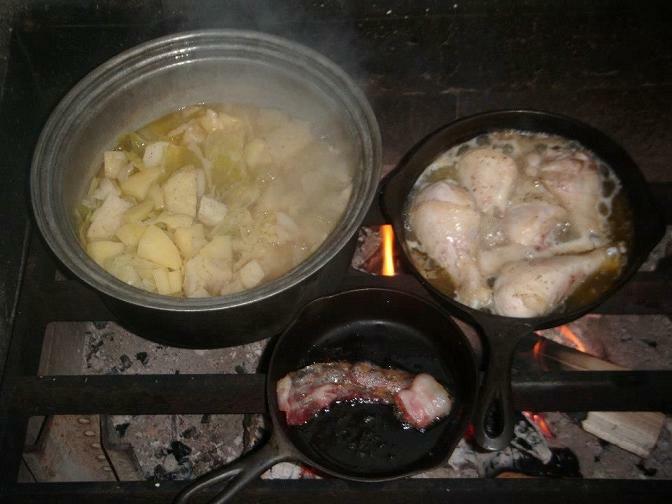 Dinner is probably the best time of day to experience what some might consider to be “traditional” Irish food. Again, many pubs and most hotels will have something to offer (stews, soups, meat & potato type dishes), but if you are lucky enough to have a little kitchen of your own to use, then why not try to find a local farmer’s market, and pick up some fresh quality Irish food, to cook. I just popped over to tripadvisor.com and they have literally thousands of Irish restaurants listed with reviews, pictures, price guideline, food category etc. It’s a good starting point and you know you’re going to get mostly unbiased information. If you search Google for something like “places to eat in Dublin” or “places to eat in Cork” (or wherever you’re staying) you’ll find a link to their site which should show plenty of options. Of course Ireland is well known for it’s adult drinks (beers, whiskeys etc), but I’ll leave you to make your own choices there. As an Irish person, I think it’s safe for me to describe us as a little bit tea-mad! Black tea that is. Tea is generally served with a splash of milk, and possibly a little sugar too. If you’re invited into someone’s house, you will most certainly be offered a cup. One of Ireland’s best loved TV shows even had an on-going story-line about it (Father Ted). Some people (not naming any names, Dad) will be seen drinking tea at all hours of the day. It’s like they’re trying to set a record! If I had to pick just one place to recommend to you for traditional Irish food, I’d go with Farmgate cafe in the Cork English Market (and no they didn’t pay me to say that 🙂 ). They serve breakfast and lunch, and have an ever-changing menu because what they serve is dictated by what’s available in the market. My friend and I went to Ireland a couple of years ago and we were excited about trying the local fare. We got every Ireland VHS off ebay (they are really cheap), dvd’s from the local library, and everything else on Ireland we could find and once a week we’d watch our tapes/vhs. One of our favorites was a pub across from the Waterford Crystal center, I believe it was Mulligan’s. 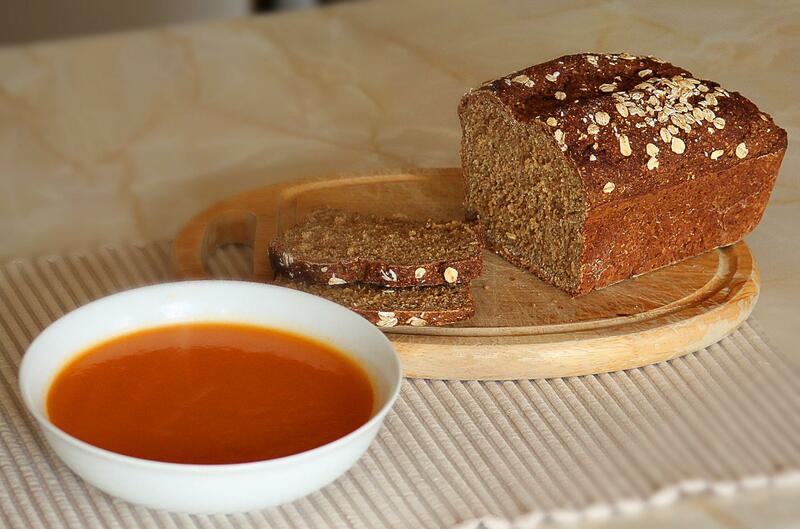 We had our first seafood chowder and soda/brown bread there and fell in love. There was also a great place to eat at a shopping center across from the castle in Kilkenny that had great food. We asked locals and they never gave us bad advice! We can’t wait to go back for more. As always Debby, thanks for your input. I love getting personal recommendations. I’ll have to check out Mulligans next time I’m in Waterford. Like you say though, asking someone who knows the area is probably the best way to find a good spot. My dad and I had so many yummy meals in Ireland. Many places are really proud to serve Irish grown meat and veg and Irish raised milk for delicious cheeses. Dingle is fantastic for fresh fish. One of the best breakfasts we had was at the Quayside B&B in Dingle with so many wonderful choices including smoked salmon and Baileys Irish Cream for your coffee! Almost every B&B we stayed at served the Full Irish breakfast…love love love that black pudding and soda bread! The Merry Ploughboy outside of Dublin in Rathfarnham served amazing meals with all local meat, veg and cheese. Local food is everywhere if you look and ask around. You just can’t go wrong in Kerry can you, and even more so in Dingle for fresh fish. The Atlantic is it’s back yard afterall. Thanks for chiming in.